Until fairly recently, many people in the UK had no idea what a pecan was. A bit like avocados in the 1970s, they were a rare species here, and foraging in health food shops was usually required. Now, however, they have become freely available in supermarkets and we are growing to love them, and sometimes choose them over hazelnuts or walnuts. I, for one, wholeheartedly embrace the idea of National Pecan Day on the 14th April. Let’s go nuts! 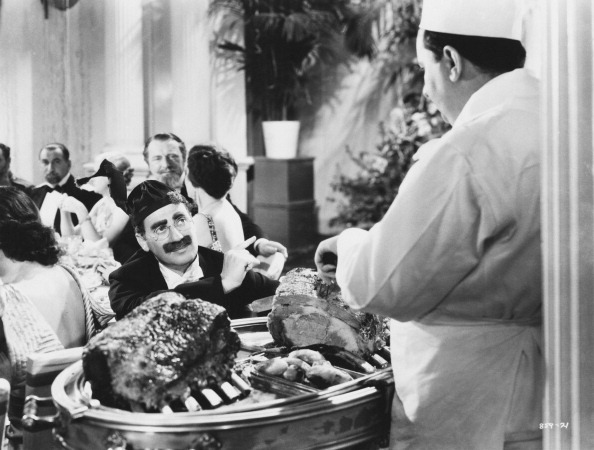 Groucho Marx as Otis B. Driftwood, in a scene from A Night at the Opera (1935). Credit: MGM Studios/Archive Photos/Getty Images. “Wouldn’t you like to know!” said Groucho. They wheedled it out of him, and at the party they had pan-fried chicken with Romanian Mamaliga, a creamy, buttery, cheesy cornmeal dish. For dessert, date and pecan pie was served. 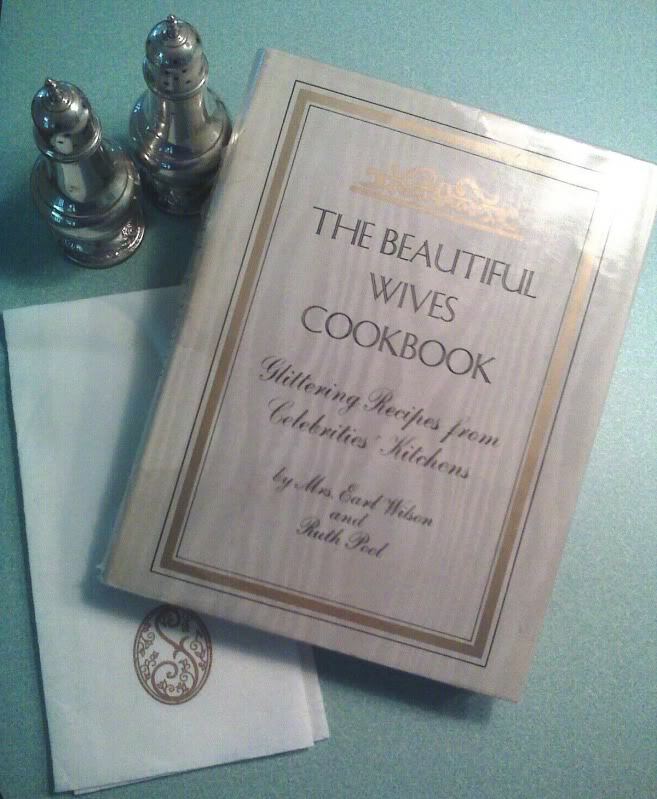 They must have charmed the recipe out of Groucho’s second wife Kay Marvis too, as Rosemary and Ruth Pool included it in The Beautiful Wives Cookbook , published in 1970. Work butter until creamy; add sugar, syrups and eggs. Stir in vanilla and bourbon and mix well. Add nuts and dates and pour into a 20cm / 8-inch pie shell and bake one hour in moderate 350 degrees oven (175 degrees C / gas mark 4). 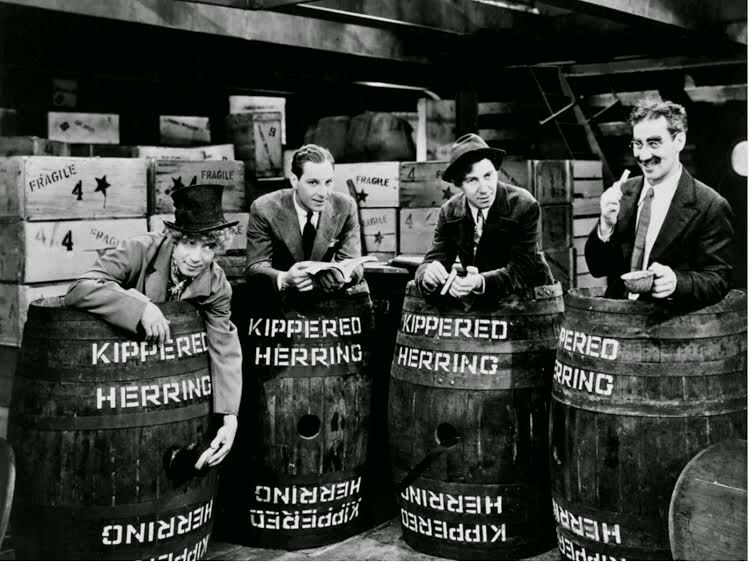 The Marx Brothers in Monkey Business (1931). In their heyday, the Marx siblings offered several favourite recipes to cookbook compilers. Chico liked Macaroni a la Lido, Harpo was fond of a Mixed Cabbage Roast and Groucho shared his technique for making matzo balls in a 1933 cookbook entitled Famous Recipes by Famous People . I’d never eaten matzo balls before trying Groucho’s recipe for these, and I absolutely love them. It is said that after eating matzo ball soup three days in a row, Marilyn Monroe exclaimed: “Isn’t there any other part of the matzo you can eat?” This may be apocryphal, but I like to think that if she did say this, it was said tongue in cheek. I’m sure Groucho would have got a kick out of it if the story is true…. 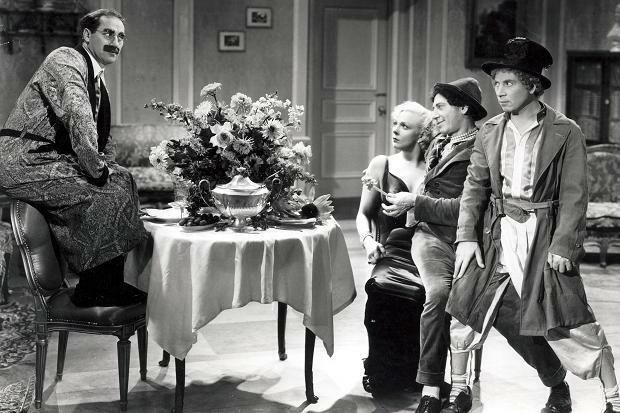 The Marx Brothers and Esther Muir in A Day at the Races (1937). 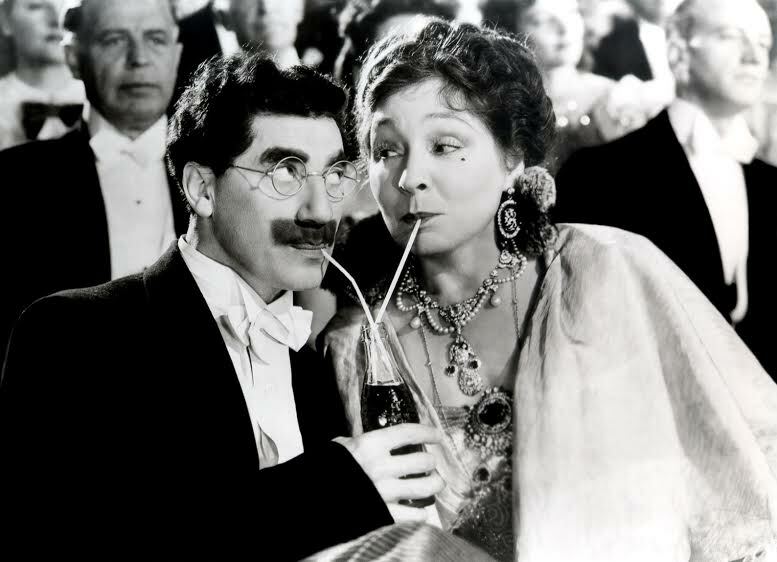 Groucho Marx and Margaret Dumont in At the Circus (1939). Soak tea matzos in cold water, and when soft, drain and squeeze dry. Brown onion in chicken fat and add to matzos. Then add the egg, parsley, nutmeg, salt and pepper, and stir until thoroughly blended. Add enough matzo meal to hold contents together and roll into balls about the size of the yolk of a hard boiled egg. Place in the ice box / refrigerator for three or four hours, and when ready to serve, drop into boiling water. 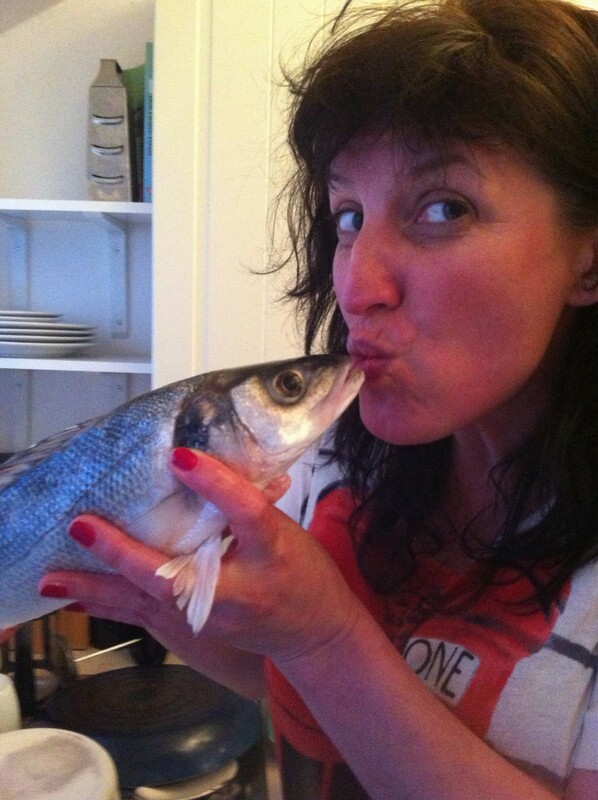 When they come to the top of the water, let them boil for about two to three minutes and then remove. Add two or three balls as desired to each portion of chicken broth. Note: I use approximately 1/3 cup matzo meal (about 50g) and allow the balls to cook at a rolling boil for around 30 minutes. This results in light and velvety matzo balls! This entry was posted in Columnists, Eat, Eat: Book Reviews, Eat: Recipes and tagged Eat, Groucho Marx, Harpo Marx, Jenny Hammerton, Marx Brothers, Zeppo Marx. Bookmark the permalink.